Using reclaimed bricks reduces waste. Many perfectly usable building materials are needlessly thrown away from demolition sites. This has a devastating ecological impact as large amounts of bricks and construction supplies are unnecessarily sent to landfill sites. Reclamation therefore presents a fantastic opportunity to save and recycle these materials and protect the environment from harm. We are especially proud as a company that takes part in this process. 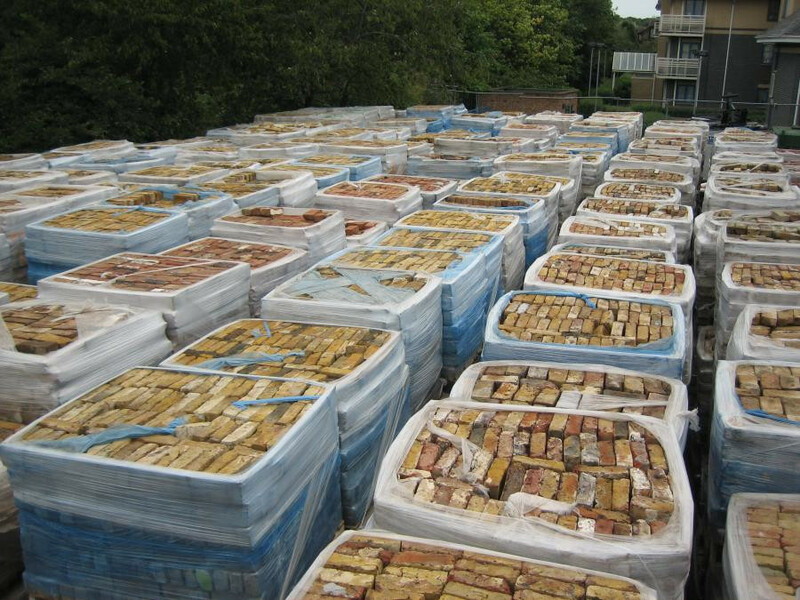 On one occasion LRBM was able to reclaim almost 2 million London Yellow Stock bricks during work on a huge 12 month demolition job. Working as subcontractors on Mick George Ltd’s Severalls Hospital Project in Essex, the LRBM reclamation team was able to save 1.8 million Yellow Stocks, equivalent to around 3,600 tonnes of reusable materials from landfill. Working with reclaimed bricks — many of which have already been produced over a century beforehand — also completely removes the high-temperature brickmaking process, cutting carbon emissions and non-renewable energy use. Heat is required both to fire and dry new bricks, making brick production a particularly energy-consuming industry. Sadly these temperature requirements are inescapable and often use fossil fuels. As a pre-made building material, reclaimed bricks however, are a practical way to avoid the environmental damages caused by production and can reduce CO2 emissions in the construction sector, which is known to have a large carbon footprint. The demolition aspect of the reclamation process also contributes to public health and safety by pulling down unsafe derelict buildings in a secure and orderly manner, removing them as a danger to local communities. 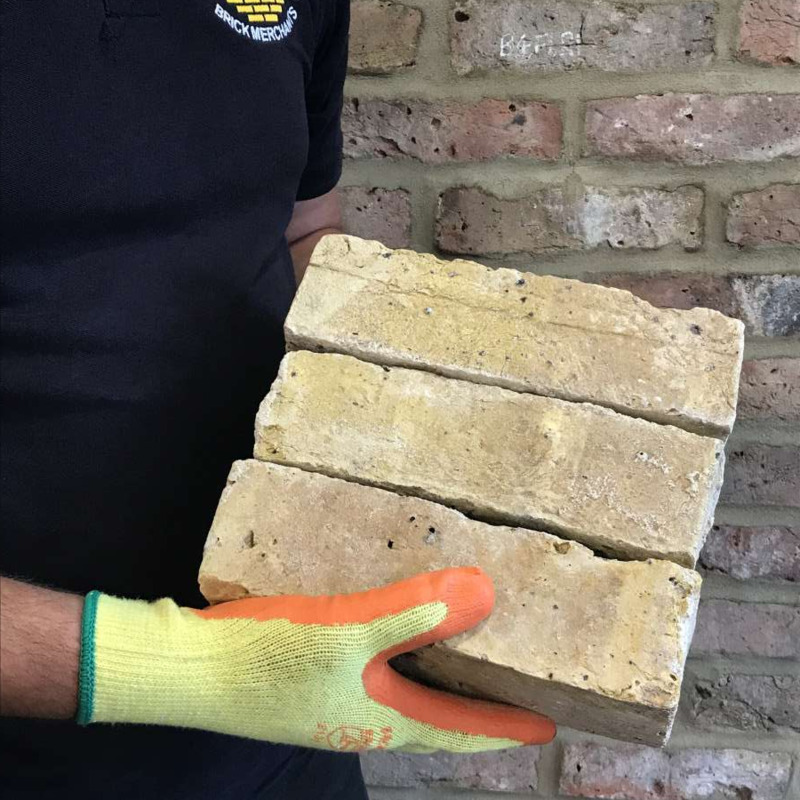 After the materials have been reclaimed, we are able to ensure that renovators, builders, bricklayers, landscapers and others have a steady supply of suitable bricks to be used in their work throughout London, where conservation and heritage areas — which generally only permit the use of reclaimed bricks in building and restoration work — are especially common, contributing to public prosperity. 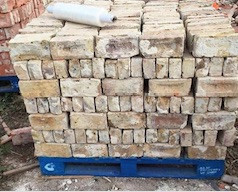 Find yellow stocks and more reclaimed bricks for sale at London Reclaimed Brick Merchants and worldwide on the SalvoWEB online marketplace. London Reclaimed Brick Merchants news: Yellow is the New Green. Reclaimed bricks: the eco friendly option.